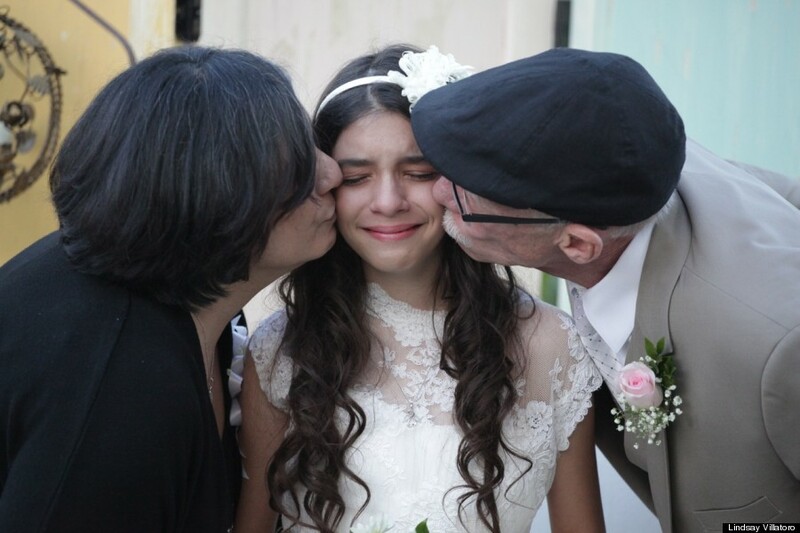 Josie Zetz's father won't be there to walk her down the aisle on her wedding day. But thanks to California photographer Lindsey Villatoro, the 11-year-old was able to experience what it might be like anyway. 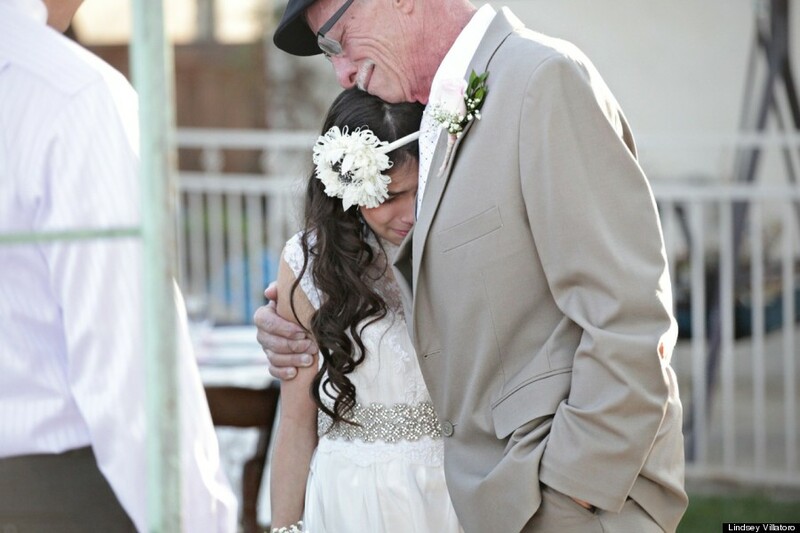 Her father, Jim, 62, had already been diagnosed with pancreatic cancer when he and his wife, Grace, hired Villatoro -- a mother, photographer and founder of Love Song Photography based in Menifee, Calif. Two years ago, Villatoro began offering photography sessions for terminal clients or clients with serious illnesses to document their journeys and was referred to the Zetz family. "I try to really showcase the person for who they are and not the illness," she told The Huffington Post during a phone conversation Tuesday afternoon. Villatoro went to Jim and Grace's home for a shoot and offered to do one with their young daughter, Josie. After she left, she posted about the family on her website to get gift donations for the girl to help make her last birthday with her father a memorable one. But she decided to take the surprise one step further and dreamed up the idea of a wedding for the girl -- complete with flowers, desserts, a promise ring and a dress from L.A. Fashion Week -- so that her father could walk her down the aisle. 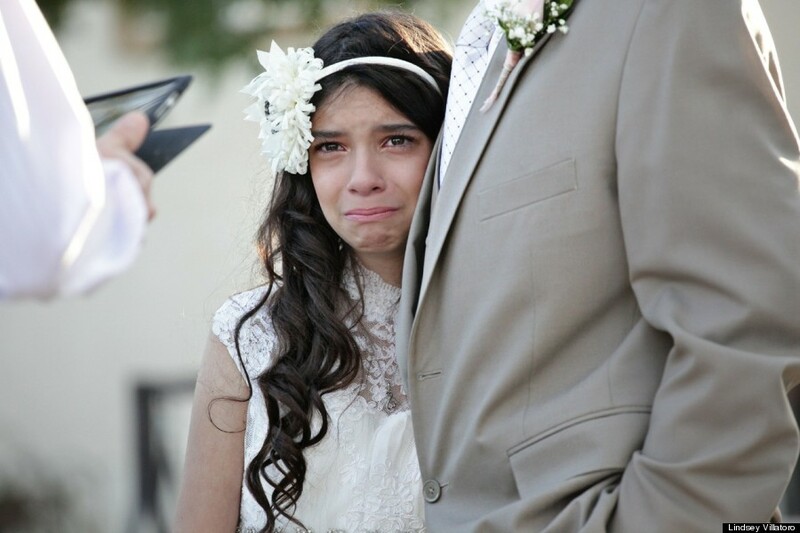 "I met Josie [the day of the wedding]," Villatoro said. "She was a little bit overwhelmed when her mom picked her up from school and told her. She just needed a moment. Later, she said, 'This is the best day of my life.' She was very glad and excited to have these moments." 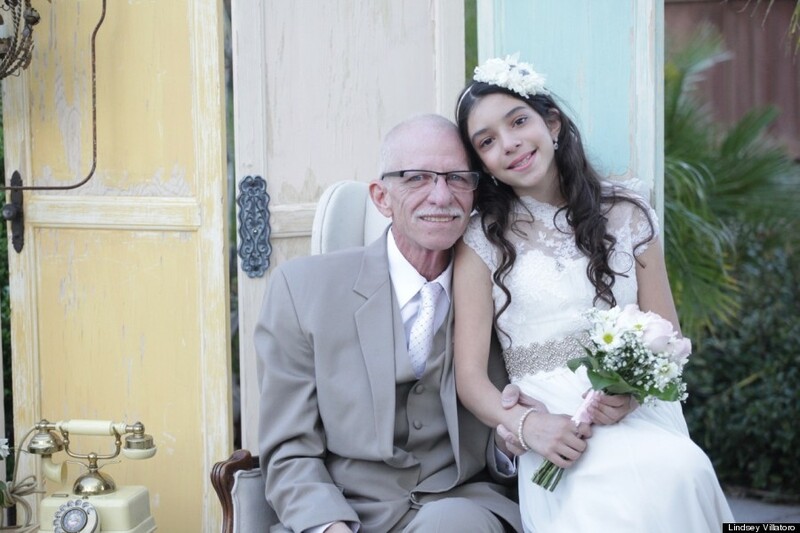 The wedding came together and Villatoro captured it on camera and created a video titled "Walk me down the Aisle Daddy." The full meaning of the special day was felt by all. The story of the wedding went viral and was covered by local network KTLA as well as the Daily Mail. "They want to get his story out, to let people know Jim and to feel a part of his family," Villatoro told HuffPost. "There is going to come a day very soon when he's not here. So for everyone to see those moments inside their family and connect with them is a really big thing for them. They feel very blessed ... The goal when I do these things is to preserve that person. Most people focus on the death and not the beauty of that person, who they were and the memories that they leave." Watch a video from the surprise below. 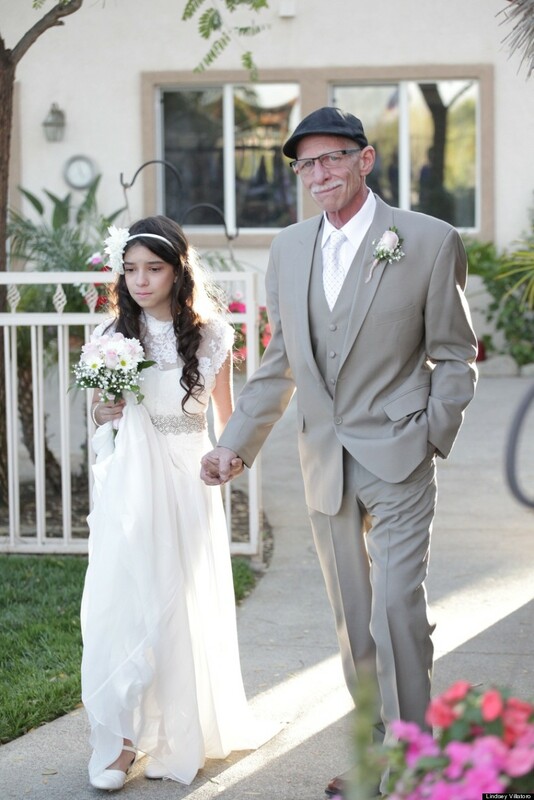 Walk me down the Aisle Daddy from Lindsey Natzic Villatoro on Vimeo.